Tomorrow is Meow Diaries one-year anniversary so Happy Blogoversary to my cats! It's time to celebrate my achievement for my third blog; one that I never fathomed would come to reality when I first started blogging more than 3 years ago! I am a little busy with work right now to have a proper celebration for my blog but have no doubt that I am very proud of my achievement with this cat blog. FYI, this blog was not something that I planned. It just happened one day when I was inspired by B to open blog number 3. He was the one who helped me name this blog and he too had a major part in ensuring this blog gets its own domain name just like my other two blogs. Speaking of domain names, I managed to renew mine right before my expiry date! Remember how I forgot to allocate funds for my domain renewal? I was sadly counting cash for my renewal; worried I won't make enough for that month to cover my renewal. Thank goodness my plight was solved a few days before the expiration date so I was worried for nothing! By the way, I am still using free webhosting for all my blogs but I know many of my friends are already hosting their sites on paid webhosting. So here's another site for you to consider if you're currently in the market for a good webhosting provider. InmotionHosting web hosting offers the best technical support in the web hosting industry as well as some of the lowest rates for a wide variety of hosting packages starting at only $3.00 a month! Don't let this low price fool you though for despite it's very competitive rate, packages include unlimited bandwidth and unlimited disk space, great site builder program, FREE domain name for life and 24/7 customer support. What I fancy about Inmotion is the 90-day Money Back Guarantee that comes with every purchase. So if you don't like what you see or get, you can always claim your money back! Terms and conditions apply so visit Inmotion for more info on inmotionhosting review. 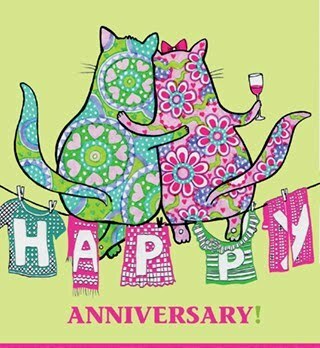 Once again, Happy Blogoversary to Meow Diaries and here's to another great year of blogging and meowing! congratulations for this blog of yours for reaching one year... wish more years to come... happy blogging! Happy Blogoversary to all you cute kitties. Your assistant has done a great job with this blog. That hosting sounds very interesting. Will have to think about it. I was so tired yesterday.. i went to bed early lah..!! just woke up ni! :* :* :* :* Monica Meow 1! 8-) 8-) Bill Meow 2! One year Elai, happy birthday to my cat blog YAY! Thank you for the wish Elai, meows love ya! U still up or zzzz edi LJ? I’ll be zzzzzzz-ing soon…. Oh and do check out that webhosting, sounds cheap and reliable too! Woo hoo, thanks for following my meows, BD! FC3 indeed, meow meow BD! Kareltje, Betsie en ikke !!! Happy Halloween from Pimp, Moo, and Phantom! How to lose 10 pounds in 3 hours! Office Politic : How many people's lives do we make miserable?